Jeep's 3.0-liter, V-6 EcoDiesel engine on display during press previews for the Washington auto show on Jan. 22, 2015. 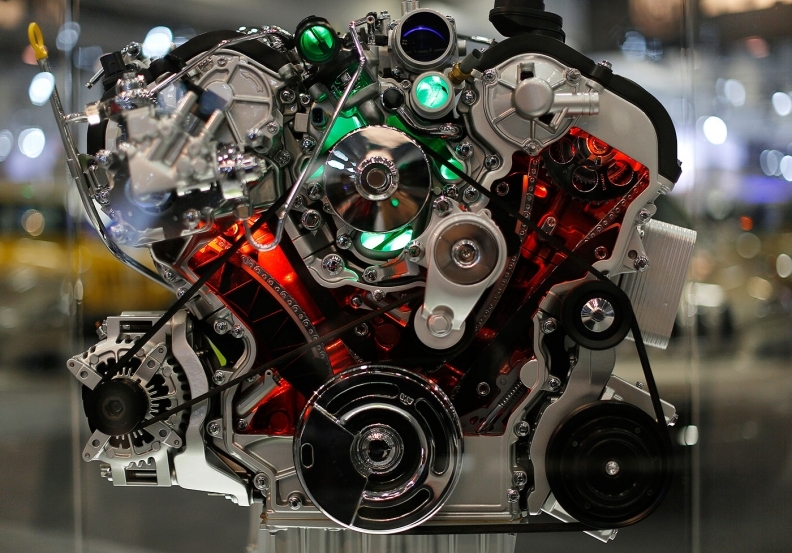 WASHINGTON -- A U.S. Justice Department lawyer said at a court hearing on Wednesday it could take "weeks or months" before regulators decide whether to approve a software fix for Fiat Chrysler Automobiles diesel vehicles. In May, the Justice Department sued Fiat Chrysler, accusing the company of illegally using software to bypass emission controls in 104,000 diesel vehicles sold since 2014. Fiat Chrysler lawyer Robert Giuffra said the company is optimistic regulators will approve the company's proposed software update as part of certifying 2017 diesel models for sale and then use that software to update 104,000 vehicles on the road. Leigh Rende, a Justice Department lawyer, said at a San Francisco federal court hearing "there is uncertainty" about whether the fix will be approved. "It could be weeks or months away," Rende said of a decision. "This is really a technical decision." The EPA and California Air Resources Board accused Fiat Chrysler in January of using undisclosed software to allow excess diesel emissions in 104,000 U.S. 2014-16 Jeep Grand Cherokees and Dodge Ram 1500 trucks in a notice of violation. Fiat Chrysler has said it does not believe the software update would impact performance or fuel efficiency and has held six meetings and calls with regulators in the last three weeks. Company shares trading in New York fell 1 percent to close at $10.89 on Wednesday. The January notice was the result of a probe that arose out of regulators' investigation of rival Volkswagen AG's excess emissions. Fiat Chrysler faces more than 20 lawsuits from dealers and owners over the alleged excess emissions. U.S. District Judge Edward Chen is also overseeing suits filed against Robert Bosch stemming from its role in developing the Fiat Chrysler diesel engines. At Wednesday's hearing, lawyers representing owners said they plan to review millions of pages of documents and urged a speedy trial date if no settlement is reached. Reuters reported in May that the Justice Department and the EPA have obtained internal emails and other documents written in Italian that look at engine development and emissions issues that raise significant questions.